NARHA has been selected as one of the BreyerFest Beneficiaries for 2010. BreyerFest is an annual three-day model horse collector's festival and horse fair held at the Kentucky Horse Park in Lexington, Kentucky. This year, the event is July 23-25 and will be the 60th anniversary celebration. Every year, specific beneficiaries are selected as recipients of donations raised through BreyerFest activities, including raffles and auctions. 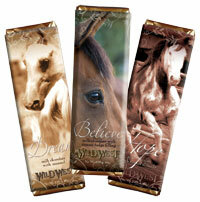 In the last 20 years, Breyer has contributed more than $850,000 to various causes. Your participation in BreyerFest could help raise money for NARHA. For information about BreyerFest, including registration and scheduling, visit Breyer's website. A new documentary on hippotherapy was reviewed in Social Work Today. "More Than Horseplay" by Veronica Sive and Sarah Barton explores the intersection of therapy and social science research, while offering a joyous look at the experiences of three children with cerebral palsy as they grow in self-confidence and physical capability through participation in hippotherapy. Read a review of "More Than Horseplay" in the most recent edition of Social Work Today. For information on ordering this film, email Anthony Sweeney at Icarus Films or call him at 800-876-1710. Mention NARHA News and receive a 20 percent discount. Since the resignation of our CEO in January, NARHA's copilots have been managing our path very capably. At the request of the NARHA Board, Vice President and past Finance Committee Chair Kay Green resigned from the Board to become our interim CEO. Along with a dedicated, talented staff, it's been business as usual. But alas, Kay calls Texas home, and she insisted that interim means interim. So the search committee immediately went to work. After careful analysis of our in-house success rate at hiring and retaining an executive, the search committee began researching professional executive placement firms. After rounds of interviews and reference checks, the field of firms was narrowed until the committee was able to recommend and approve MJM Global Services, Inc., based in Denver, Colorado, and represented by Jim Harlan. Jim brings over 25 years experience in finding and successfully placing top level executives in a wide range of industries, including aerospace, technology, telecommunications and non-profit associations-some of them national equine membership associations. We liked Jim for his credentials, for his familiar local pool of cultivated potential candidates, because he is an equestrian himself and because he already knew NARHA and believed in our mission. We also liked Jim because he started even before the ink was dry. He knows NARHA's vision for the future and is committed to finding the best candidates who qualify to succeed in this mission. Jim is now beginning his exhaustive process, loaded on the front end with research and discovery that will deliver skills, characteristics and qualities that define our new CEO. This animates the CEO job description and gives the board a better feel for the person needed to do the job. It is our goal to interview a group of qualified candidates by May. Any questions on the search process can be directed to the search committee, care of Teresa Morris. The membership has begun to communicate its first-round of feedback regarding the NARHA/EFMHA integration through their attendance at world-café-style discussions at the national and region conferences. In November 2009 the first conversation was held at the national conference in Ft. Worth. Despite the 6:30 a.m. start time, the room was packed! Each of the region conferences has or will also host a similar discussion. An electronic version will be made available for members unable to be a physical part of the conversations. These initial conversations are critical to establishing the consensus of why individuals and centers are members of NARHA, what the EAAT industry means to the professionals in the field, and when/if it's determined a new name shall be identified for NARHA, what that new name should portray. Many thanks to all who have or will participate! When the integration steering committee first laid out its plan for exploring the name change idea, the world café format was the method chosen for the first step. The conversations at this stage are not intended to be a vote as to whether or not the name should change. They are meant to gather feedback regarding the inclusivity and broad scope of our association. Much data gathering is essential before a change could ever be executed. The integration steering committee will be asking for the member's valued input ever step of the way. Stay tuned! G.A.I.T. (Genuine Alternative In Therapy), a NARHA Premier Accredited Center, was recently featured in the story "A GAIT to the east opened" by Marilyn Rosenthal in the Pike County Courier. 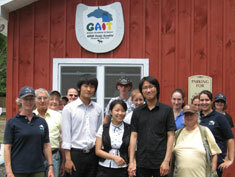 Several veterinary medicine students from Gyeongsang National University in South Korea had visited Martha Dubensky's center in Milford, Pennsylvania, as part of their "Animal Assisted Therapy" program at the Veterinary Medical School in Busan. According to Rosenthal's story, the veterinary program hopes to teach others in South Korea about the practical use and importance of hippotherapy and are using the infrastructure of organizations like G.A.I.T. to help them start a similar project in Korea. A total of 11,171 people who own, lease, or manage horses completed the American Horse Publications' Horse Industry Survey designed to gauge participation trends in the U.S. horse industry. This was the largest survey of hands-on owners and managers of horses in the United States ever conducted. There were five main sections of the survey: demographics, horse ownership, horsekeeping costs, issues facing the equine industry, and horse health care. "This survey shows some good news: Even during current times with a struggling economy, a majority of respondents expect to be able to continue participating in the equine industry at the same level that they are now; some even expect to increase their levels of participation over the next few years," said Dr. C. Jill Stowe, an assistant professor of agricultural economics at the University of Kentucky. "Moreover, many horse handlers will make sacrifices in other areas of their lives to continue their involvement in the equine industry. ... Respondents are also clear that the welfare of the horse is of the utmost importance as individuals and policy makers make decisions regarding the future of the equine industry." Click here for results of the survey.